Google announces that it has included support for web pages and sites that change their content dynamically according to the language settings or origin of the IP address.Google recently announced its move to provide new support for their search engine crawlers, particularly targeted for locale-adaptive web pages and sites. These are web pages and sites which will change the content depending on the country of origin of a user and/or their language settings. For example, there are sites that are built to detect whether you are accessing them from the USA, France or the UK and the content that is displayed won’t be the same. If France, they will translate and display the content in French, and also if you have set French as your preferred language in the language settings. If you’re in the UK or USA, they will display content in UK English and US English. In the past, Google did not have a mechanism for handling such web pages and sites; all they were able to see was the version of the page written in US English. Following the improvements, Google now has the capability to process such content/pages. 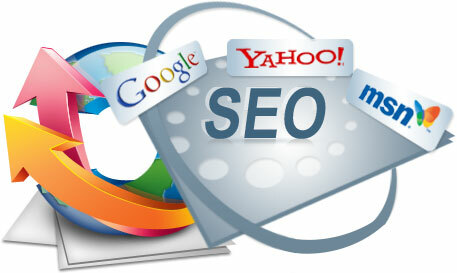 This will be accomplished by sending the Googlebot crawler from different IP address origins throughout the world. It can also change and reset language settings without having to geo-locate. Geo-distributed crawling – the Googlebot will begin using the IP address in any location outside of the USA where the search query is generated in addition to the current IP address with opts location in the USA, or what the bot has been using in the past. Language–dependent crawling – here, the Googlebot begins to crawl by using an Accept-Language HTTP header within the request. However, it is still Google’s recommendation that different TLDs or URLs should be used where there is content designed specifically for a particular location and/or language setting. According to their statement, Google reiterated their recommendation, advising webmasters to apply different URLS each with the ‘rel=alternate hreflang’ annotation for each specific language/location. The company said that separate URLs are the most efficient, and will improve the user interaction with the page and site, as well as make sharing of content across geographical boundaries easier. This will also ensure better ranking and maximum indexing across multiple locales for all the variations of your content. As such, webmasters that have been utilizing the ‘rel=alternate hreflang’ annotations and separate URLs should continue to do so. If you want to do the same for your site, but don’t know how, you can contact an SEO company in London for assistance on this.